Dr Wasonga of department of Land Resources and Agricultural Technology (LARMAT) and Ms Melissa de Kock a PhD student at University of Capetown, South Africa 3rd November, 2016discussed possible research collaboration under the Adaptation at Scale in Semi-Arid Regions (ASSAR) project. Dr Wasonga a Senior Lecturer in department of LARMAT is the focal person at the University of Nairobi for ASSAR Programme. Ms Melissa intends to conduct her doctoral research in the drylands of Namibia and Northern Kenya. Members of the Adaptation at Scale in Semi-Arid Regions (ASSAR) and East Africa Regional Research team meet at the University of Nairobi (UoN), Faculty club on 12th October, 2016. 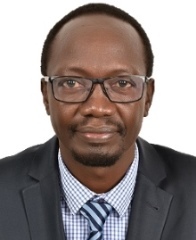 The University of Nairobi (UoN), Department of Land Resource Management and Agricultural Technology (LARMAT) joined ASSAR in the June, 2016 through Dr. Oliver Wasonga who is the principal investigator of the ASSAR project. ASSAR’s overarching objective is to deepen understanding of climate vulnerability and adaptation in semi-arid regions, and help transform current adaptation practice to a mode that achieves proactive, widespread adaptation embedded in development activities at multiple governance scales, to advance adaptive livelihoods for vulnerable groups. LARMAT participates in Regional Research Team (EARRT) through Dr. Oliver Wasonga who is the focal person for UoN (find more detail at: http://www.assar.uct.ac.za/who/ASSAR_people). The University of Nairobi (UoN), African Drylands Institute for Sustainability (ADIS) is one of the implementing partners for the USAID funded project; Accelerated Value Chain Development-Livestock Component (AVCD-LC). The project is led by the International Livestock Research Institute (ILRI). Its overall purpose is to increase the income of 60,000 pastoral households through a 50% increase in the sale of livestock by 2018. The target area of operation is the 5 counties in the resilience Zone of Influence (ZOI) that is Marsabit, Wajir, Garissa, Isiolo and Turkana. Under the project, ADIS is providing technical expertise on rangeland management and commercial pasture and fodder production. Under the support of this project, trainings on pasture and fodder production including practical demonstration on grass seed planting carried out in Kipsing and Ol Donyiro in Isiolo County from 19 to 21st October, 2016. The training was conducted by Dr. Stephen Mureithi , A lecture at Department of Land Resource and Agricultural Technology (LARMAT). He was assisted by post graduate student Ms Hannah Nyakio in the same department. More seeds will be to the groups for planting during the short rains of October, November and December (OND) 2016. He started off with beans, got a few Kenya shillings and decided to reinvest the income to expand his acreage. A man with a definite purpose defines him best. He has learnt over time to make use of the resources he has and are available to him, he told the other community members. Mr Njoroge Lempoe, 80 years old has his land tilled, prepared and ready to plant grass after personal observation and training on pasture production.